Of course you can simply relax onboard, watch the beautiful scenery, sip a drink and listen to your favorites tunes. Enjoy a real tasty lunch and go for a swim. All at your pace - after all you are on holidays in Phuket. But we offer some acttivietes aboard - all depending on the boat and where you will go on your private boat trip. 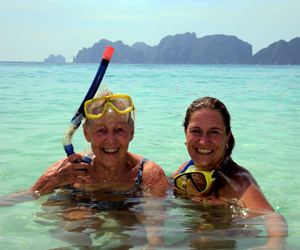 All boats come with snorkeling a gear and this is always good fun for the whole family.Some destinations in Phuket really offer fantastic snorkel spots. The larger boats have a kayaks or SUP onboard. 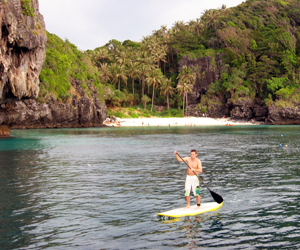 Kayaks is easy fun for everyone and great way to explore some caves or mangrooves. Some of the larger yachts are fitted for Scuba Diving. 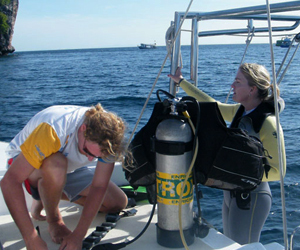 For the smaller boats we always can outsource the Scuba Diving, depening on the route.